Jeff Koons is an artist I certainly know more about because of Lady Gaga, and her album ARTPOP. Frankly. Working closely with the singer Koons created a sculpture of Gaga which ended up on the cover of the album, as well as designing a number of pieces which featured in her insert – a style for her most recent era. Whilst he’s renown for his work with Michael Jackson, and so many other names… his work has fascinated me for quite some time. His gazing ball, and famous basketballs in water has split opinions right down the middle for years. Is it art? Or just lazy mess? 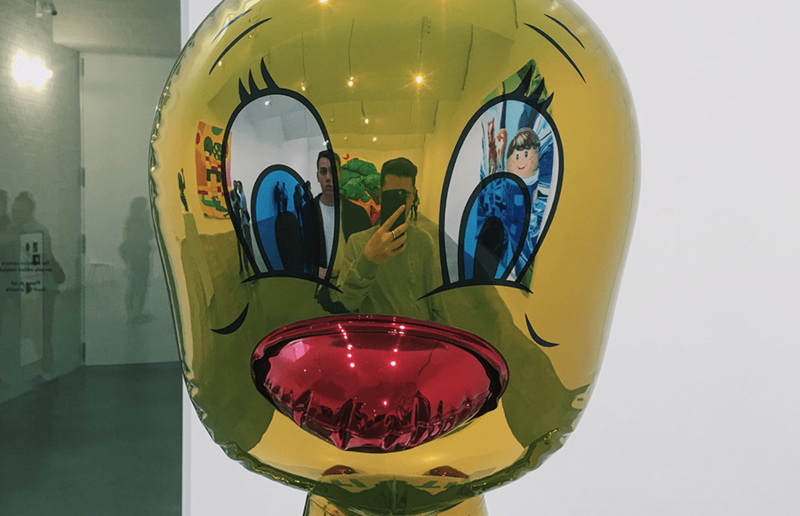 The Newport Street Gallery is currently showcasing ‘Jeff Koons: Now’, curated by Koons and Damien Hurst with all works those in which Hurst has bought from Koons. Over thirty works have been curated and they cover most of Jeff’s career, from 1980 to the present day. There’s the familiar eye-catching pieces such as the blue gazing ball dog, as well as inflatable toys for swimming pools which to the eye look pretty simple. However, are actually made from steel and aluminium. Some more perplexing work is a room full of vacuum cleaners, vivid canvases of Lego pieces and plastic horses, a huge bowl of eggs, as well as his famous basketballs suspended in water. Oh, and some pretty pornographic paintings of Koons with his ex-wife. 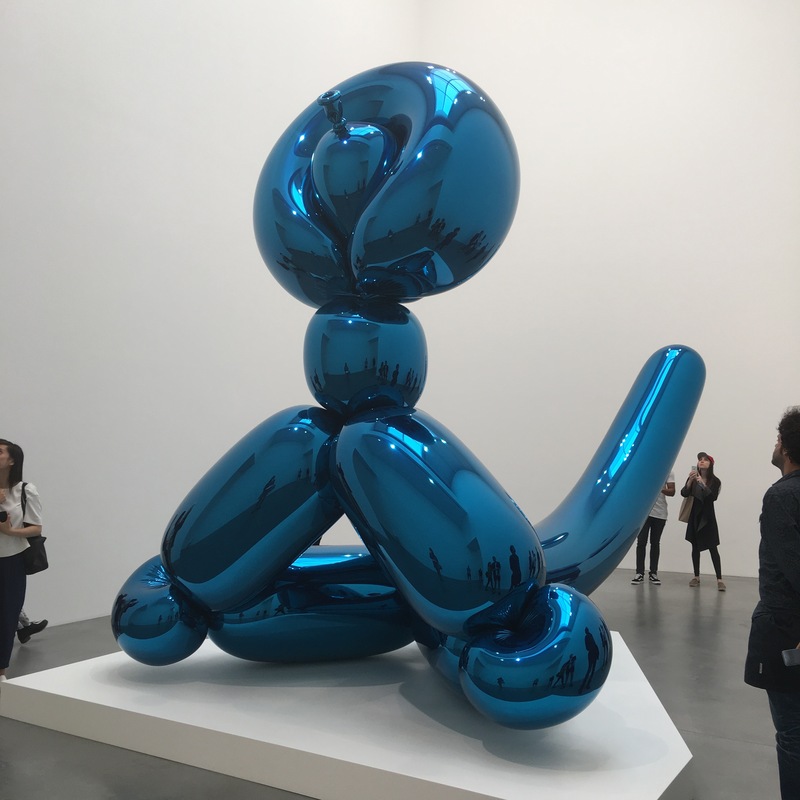 Whilst some may call each room at the gallery a mismatch of Ikea furniture and odd balloon animals, there’s something mesmerising about Koons, and the way the viewers around you engage with the work. Gazing into the reflection of many pieces you realise how controlled we are by what we give out, whether through an Instagram post or just a simple smile. What do we actually let out into the world, without even realising. Summarised by curator and critic Norman Rosenthal as “manifestations of a joyful acceptance of American culture”, Koons’s work fills Newport Street’s six galleries. 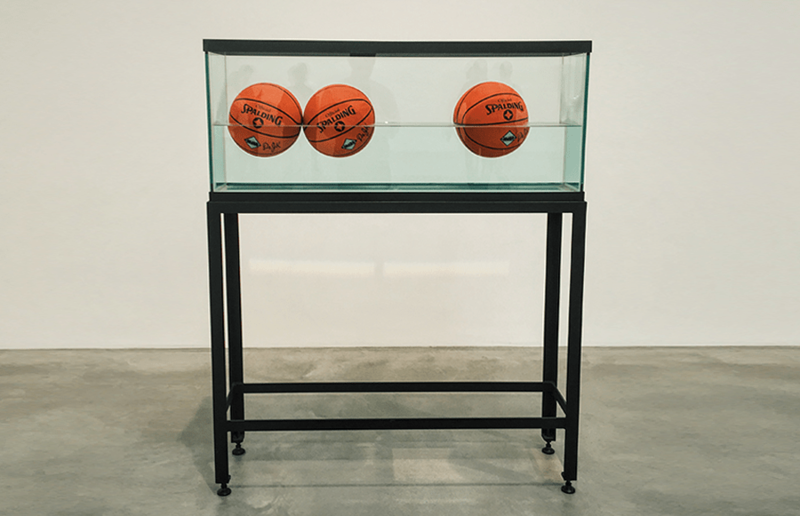 Does Koons still shock and outrage? Possibly. Will you find yourself indulging into the madness of art? Of course. 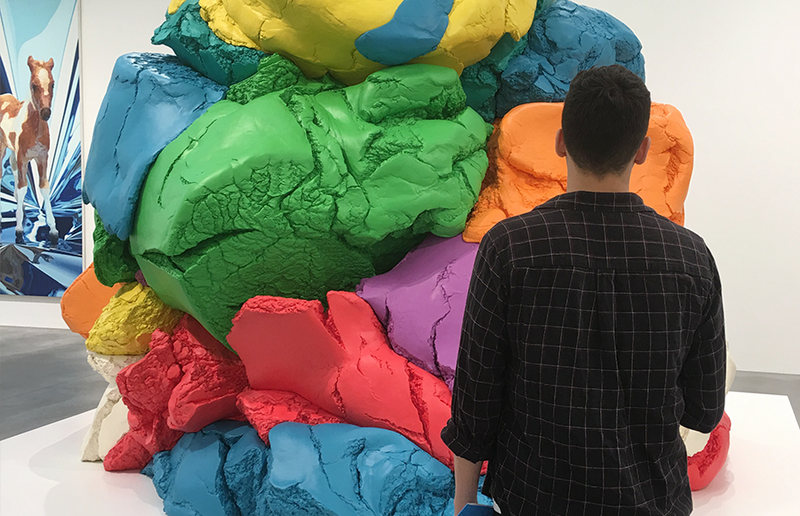 The Newport Street Gallery displays Jeff Koons: Now until October 16, 2016. Admission is free.